Morning news and current affairs with Sarah Montague and Evan Davis, including GCSE changes, France's ambassador on the EU budget and dining 'al-desco'. The prime minister has said medical regulators must now explain why no one has been disciplined after the Francis Inquiry detailed years of abuses at two Stafford Hospitals. The chief executive of the Nursing and Midwifery council, Jackie Smith, and chief executive of the General Medical Council, Niall Dickson, discuss the accountability of doctors. Plans to scrap GCSEs in key subjects in England and replace them with an English Baccalaureate Certificate are set to be scrapped by ministers. Nick Gibb, former schools minister, explains the reasons for the reversal of plans. A BBC Breakfast poll suggests that 54% of workers in the UK are used to working through lunch. Lucy Kellaway, Financial Times management columnist, Lindsey Bareham, food writer, discuss dining "al-desco". 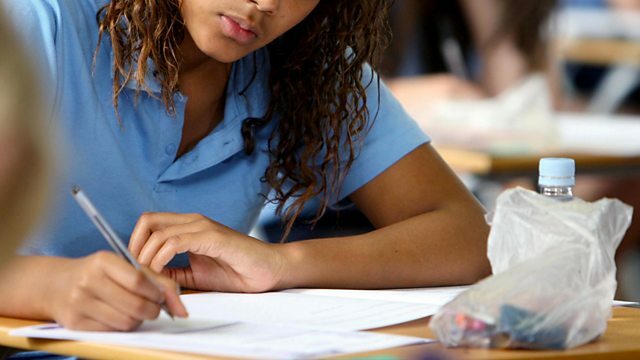 The government scrap plans to replace some GCSE exams in England with a new qualification. The culture of workers dining at their office desks. A rundown of stories from Thursday 7 February, including programme highlights and comment.